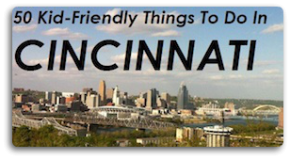 Looking for fun and free things to do in the greater Cincinnati area? There are plenty of family activities happening throughout the area for you and your family to enjoy. 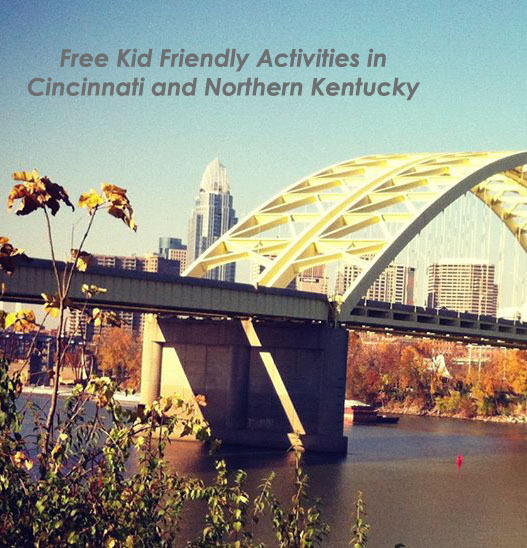 Check out our Guide to Free Kid Friendly Activities in Cincinnati and Northern Kentucky and let us know if we missed one of yours! The Public Library of Cincinnati and Hamilton County has free activities every day. From story times and play dates to game time and movie nights there is something for everyone! Visit www.cincinnatilibrary.org to see what is happening at your local branch. Cincinnati Parks offer free events for families in addition to the great green spaces, playgrounds, gardens and picnic areas. Events include nature hikes, concerts, nature education classes, various seasonal events, and more. To see what is happening in a park near you, visit www.cincinnatiparks.com. •Nature Story Time with Imago! Visit www.bluemanateebooks.com for a full calendar. Visit The Taft Museum for free every Sunday. Print an activity page for your child to color and compare their artwork to the original. For more fun,visit on a Third Sunday Funday. Activities include family-friendly performances, hands-on fun and art information geared towards kids. Admission to the Cincinnati Art Museum is always free, but make the most of your day during a Family First Saturday event. Visit the first Saturday of every month and take advantage of artist demonstrations, performances, tours and hands on activities for the whole family. 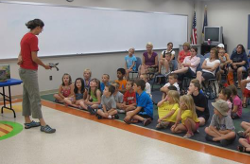 The Public Library is a great place to find free family friendly events. The Kenton County Public Library, Boone County Public Library, and Campbell County Public Library offer story times, family days, play times crafts and more at the local branches. Visit the websites for more information. For crafty kids, Michaels stores offer free demonstrations of products or techniques. Visit www.michaels.com for a calendar and to find a store near you. For kids who like to help out around the house, Home Depot offers free hands on workshops for children ages 5-12 the first Sunday of every month. Visit workshops.homedepot.com/workshops/kids-workshops to register and make sure your child has a spot. If your child loves books, Joseph Beth Booksellers and Barnes and Noble offer weekly story times for kids at their locations throughout the Cincinnati area.